A group of eighteen people from across the northwest suburbs of Chicago joined together to form a new church. These people had a vision for proclaiming the authority of the Word of God without apology, lifting high the name of Jesus through worship, believing firmly in the power of prayer, and sharing the good news of Jesus with boldness. 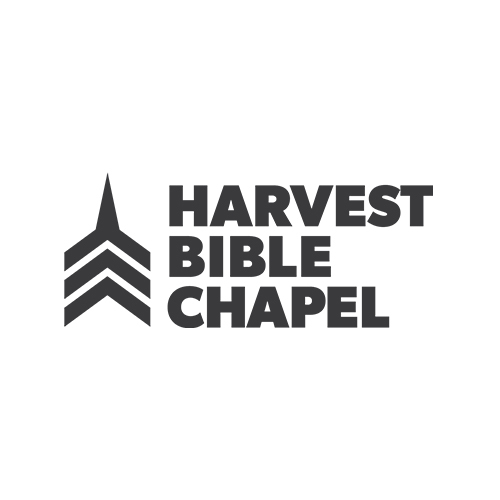 Harvest Bible Chapel was born on September 18, 1988, with 27-year-old James MacDonald serving as the senior pastor. Since its beginning, Harvest has grown to a multi-site church of more 13,000 people meeting on seven campuses each weekend; an international broadcast ministry that reaches over three million people every week; and a global church-planting ministry with more than 100 churches to date, as well as a training center for future senior pastors. It is the home of a thriving Christian school with more than 600 students, a biblical counseling center, and a year-round camp in Michigan that ministers to more than 1,500 people annually. James MacDonald provokes Christians to think and act on their faith. His Bible teaching ministry, Walk in the Word, emphasizes the precise exposition of God's Word and compels listeners to life application. Every 30-minute program heard on over 1,100 stations across North America is designed to ignite passion in the people of God through the proclamation of truth. Walk in the Word is widely known as a radio ministry; however, its reach and impact continue to expand through audio, video, and printed resources, as well as listener events. Online listeners and podcast subscribers make the web our fastest growing audience, with over 100,000 podcasts downloaded monthly. God uses the faithful and generous support of our listening audience to meet the needs of this growing ministry. Currently, there are about 3,900 Change Partners and 100 Challenge Partners who sustain the ministry of Walk in the Word through their commitment to prayer and financial support. Whether you listen to one of the 1,800 programs aired daily, attend a live event, or use a Walk in the Word study in your small group, you will see that all of the teaching is personal, practical, and aimed at leading you to the transforming power of God. VCN exists to glorify God by planting vertical churches and multiplying church-planting movements globally. Vertical. It’s a summary term for everything that we believe about the church. The purpose of the church is not something we get to fashion according to our own whim, or subjective sense of God’s leading. The purpose of the church is doxological not soteriological. The purpose of the church of Jesus Christ is not to reach people, or feed the poor or any of those important ‘by products.’ The purpose of the church is to elevate and honor God’s great Son in the minds and hearts of those who gather in His name. PERIOD. When that truly happens, all the other good things happen too. When that focus is neglected nothing that ‘happens’ is lasting or worthwhile. Everything that happens when the church gathers is for that single VERTICAL purpose. Churches Helping Churches is a global partnership of church communities who seek to rebuild other churches in the wake of a catastrophic natural disaster. Importantly, we are not Churches Helping People or even Christians Helping Churches. Rather, we are church communities from all over the world who have partnered through CHC with other church communities of brothers and sisters who are suffering. Our efforts are intended to provide spiritual support and development aid to the pastors and their churches who are often the de facto leaders in these affected communities, as a complement to the initial waves of humanitarian aid that pour into a country in the wake of a disaster. Many countries have relied on networks of local churches to be a primary conduit for the flow of health care, humanitarian aid, and even education. Rebuilding churches is a means of restoring not only the spiritual health and global fellowship of these affected communities, but also the infrastructure through which aid can flow into communities that so desperately need it.